THE SHEPHERD’S FLOCK is the church arm of HAVILAH International Ministries. A ministry that was commissioned of God, by God and for God; full of grace, and anointed for the lifting of every one that comes in contact, or is associated with it. HAVILAH International Ministries is committed to taking the Word of the Living God to a world that is wallowing in poverty, disease, hopelessness, and unrighteousness. The church arm is to provide a platform of support (prayer, manpower, and funding) for the outreach ministry. This is an apostolic ministry and we are therefore raising an apostolic team to administer a truly New Testament Church that has room for the 5-fold ministry and other support ministries. The Shepherd’s Flock is set to exemplify a model New Testament Church for the end-time harvest. God gave the name, “The Shepherd’s Flock,” to the set man (Rev. Tony Akinyemi) in the year 1997. The Shepherd’s Flock stands for PURITY, POWER, and PROSPERITY. The church was commissioned by God to raise a HOLY, HEALTHY and HIGHLY SUCCESSFUL People for God (see 3 John 2). We realize that without HOLINESS, no man shall SEE God (Hebrew 12:14); without health, no man can SERVE God effectively or be productive in life (Lazarus was an example); and without HIGH SUCCESS, no man can have a SAY in the affairs of men (Ecclesiastes 9:14-16).We need success to have a VOICE. Putting it all together, we have P in 3 places (Purity, Power, Prosperity), H in three places (Holiness, Health, High Success), and S in 3 places (See, Serve, Say). To raise God-fearing men and women for Christ kingdom who will radically influence, and transform their world for God’s glory. We intend to achieve the above through the avenues of the WORD, Spiritual WARFARE (Prayers), dynamic WORSHIP, and a WARM atmosphere (of fellowship, discipleship, and mentoring) that guarantees healthy growth and opportunities for service. To raise a HOLY, HEALTHY, & HIGHLY SUCCESSFUL people. Rev. 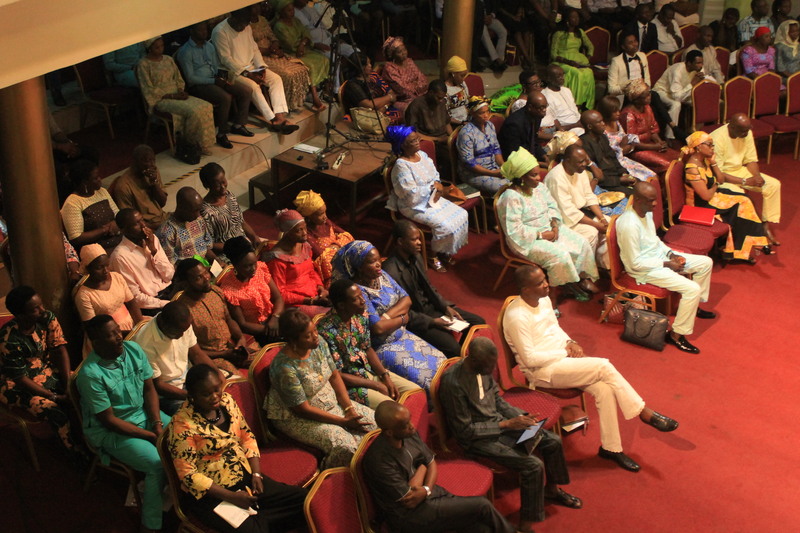 Tony Akinyemi is the Senior Pastor of THE SHEPHERD’S FLOCK INTERNATIONAL CHURCH. He is also the President of HAVILAH INTERNATIONAL MINISTRIES – an itinerant teaching ministry reaching out to the entire Body of Christ with systematic and didactic teaching of the Word of God in the power of the Holy Spirit through seminars, conferences, workshops, publications, radio and TV broadcasts, etc. Our Father in the LORD, REV. TONY AKINYEMI has been commissioned and mandated by God to raise for Him a HOLY, HEALTHY AND HIGHLY SUCCESSFUL PEOPLE. He therefore teaches PURITY, POWER and PROSPERITY. Tony Akinyemi is a product of the University of Ife, Ile-Ife (now called Obafemi Awolowo University). Where He holds a degree in Computer Engineering. He also holds a professional degree in Theology from L.I.F.E. Theological Seminary, Ikorodu, Lagos. Coach Tony Akinyemi has contributed immensely to information and educational growth and development of the world through his numerous publications and broadcast messages. His teaching ministry has also taken him to the nations of the world. Rev. Tony as he is fondly called is married to Pastor Tutu Akinyemi, an Associate Pastor and Minister of the Gospel of Jesus Christ. She mentors and minister to young women through the JUST SPINSTERS forum. She is a dedicated mother of 3 children, and a guardian to many. Rev. Tony and Pastor (Mrs) Tutu Akinyemi are blessed with three great children; Melody, Lovelyn and David.